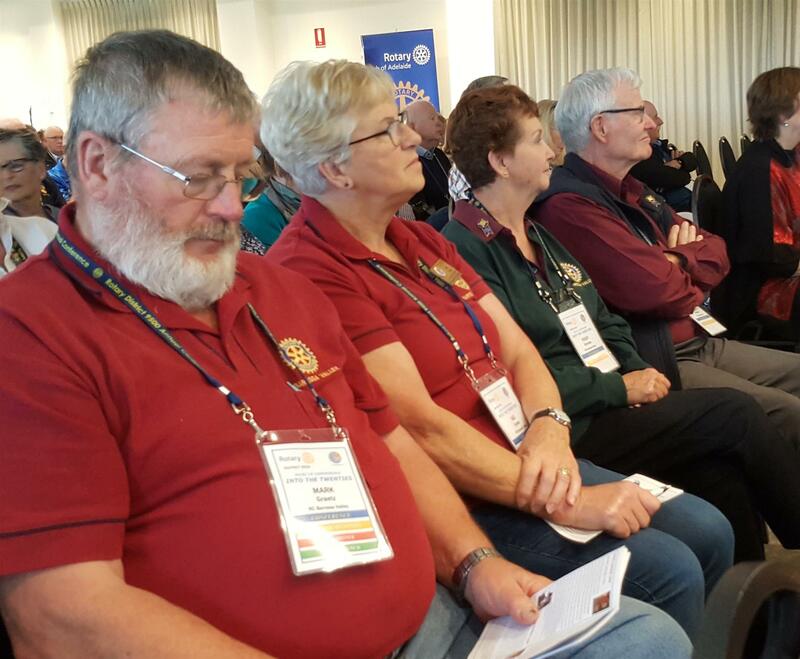 9500 District Conference was held at the Adelaide Hills Convention Centre at Hahndorf in March 2019. Some of our club members with partners that attended were Sue Graetz and her partner Mark and Robert Brookes with his partner Peggy. Marie Rothe and Keith Millington were also there but were not in the photo. A very interesting first two days with good information given about the forthcoming merger between 9520 and 9500 to become District 9501. One speaker the stood out for me was Lauren Whyte who spoke about her research int Alzheimers Disease, giving a detailed explanation of her methodology and how the results are indicating some of the causes and possible methods of managing and even preventing Alzheimer's Disease. A point worthy of note is the fact she was supported by Rotary Clubs and by the Rotary Foundation. If there was any doubt about the effectiveness of The Rotary Foundation. then listening to Lauren should completely dispell them. The Keynote Speakers provided a lot of motivation and entertainment with stories about their lives, challenges met and overcome and their experiences of life. As there is still one more day to go, there will be more to report and in greater detail in the near future.